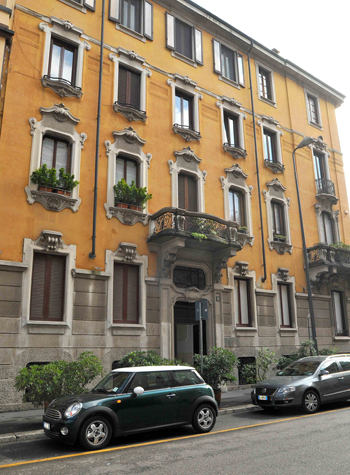 Milan Business Center is located in the Palace of Via Mauro Macchi 8, between Piazzale Loreto and the Central Station, in a very strategic position and a short walk from the center of Milan. Built in 1926 by Ing. Adolfo Dell’Orto still retains all the charm of the Art Nouveau era. In particular, the first floor which houses Milan Business Center keeps the original parquet inlay, ceilings with plaster and polychrome sovraporta original. The ground floor has been completely refurbished with a modern, contemporary décor with designer who favor steel and wengé. All this makes Milan Business Center the ideal partner for your business, thanks to the quality of the building, will benefit from a significant boost in image. Because the image is the key to your success!